Cytokeratin 7 is a 54 kD marker of simple epithelium. 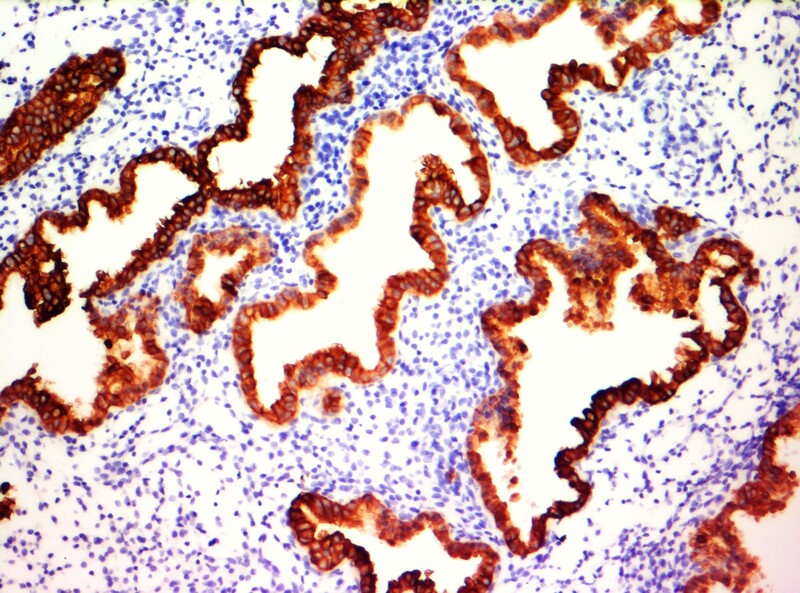 Antibody to cytokeratin 7 strongly stains all cell layers of the urinary bladder transitional epithelium. However, cytokeratin 7 is absent from gastrointestinal epithelium, hepatocytes, proximal and distal tubules of the kidney, and myoepithelium, and also cannot be detected in the stratified epithelia of the skin, tongue, esophagus, or cervix. 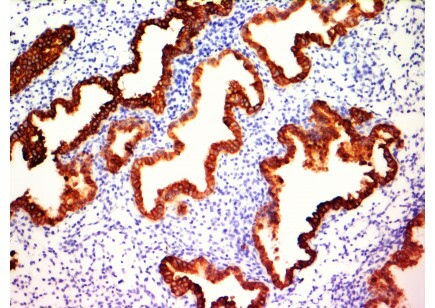 The OV-TL 12/30 monoclonal antibody to cytokeratin 7 recognizes specific subtypes of adenocarcinomas and can be used to differentiate between cytokeratin 7-positive tissues such as ovarian carcinomas and transitional cell carcinomas and cytokeratin 7-negative tissues such as carcinomas of the gastrointestinal tract and prostate cancers.